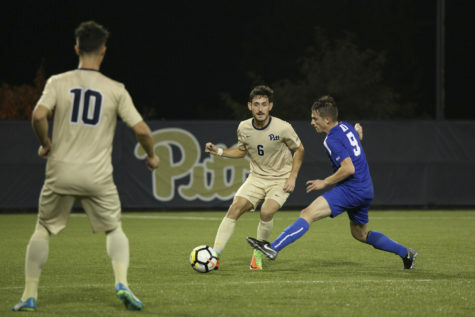 Despite going behind early, the Pitt men’s soccer team came back with a flurry of goals against No. 12 NC State to get their first ACC victory, a 3-1 win Tuesday night at Ambrose Urbanic Field. After previously losing to No. 5 North Carolina and No. 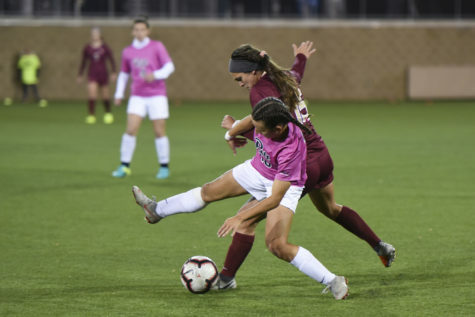 6 Louisville — both by just one goal — the Panthers rebounded with a much-needed victory against the Wolfpack. 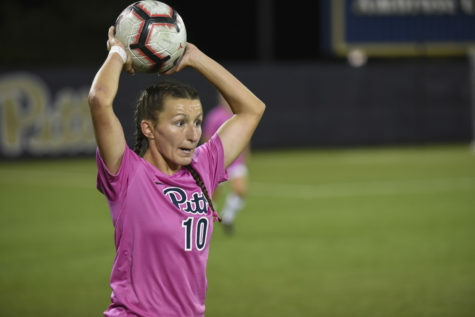 It was Pitt’s first win against a ranked team since defeating No. 7 Notre Dame last season and the Panthers’ first ever ACC game in which they scored three goals. Head coach Jay Vidovich was proud of his team and how they showed their maturity throughout the course of the game. The action started quickly in this one, as the first shot attempt of the game led to a goal. Sophomore midfielder/forward Brad Sweeney scored a curling free kick for the Wolfpack that went under the glove of Panther first-year goalkeeper Johan Penaranda to give NC State a 1-0 lead in the sixth minute. 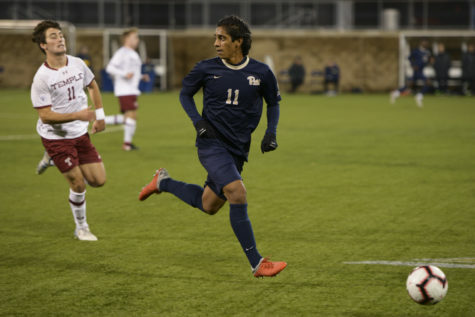 Pitt came firing back mere minutes later when sophomore midfielder Marcony Pimentel recorded Pitt’s first shot in the 10th minute, but it soared over the goal. 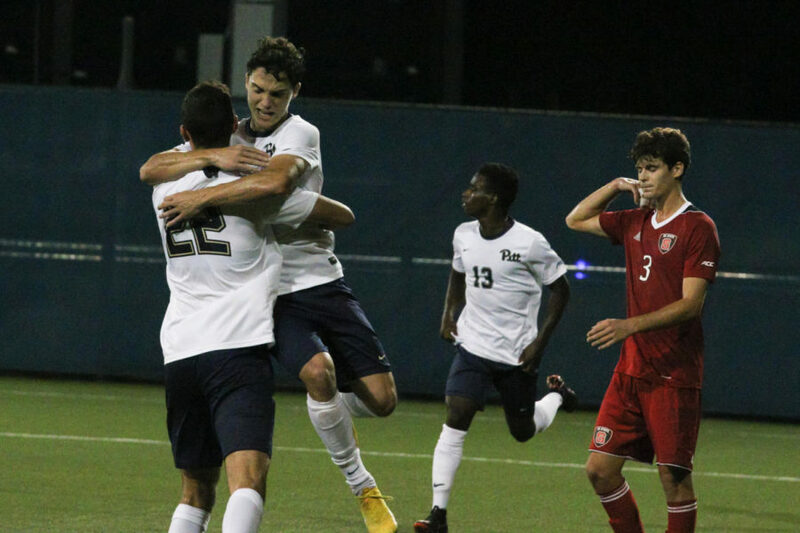 Senior midfielder Javi Perez blasted another quality look in the 19th minute, but it was right at sophomore NC State goalkeeper Leon Krapf, who easily saved it. 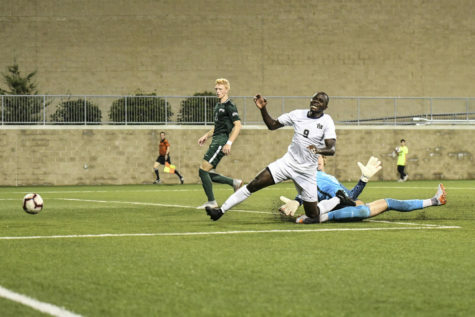 The Panthers finally got on the scoreboard a minute later as Pimentel sent a great cross into the box intended for redshirt senior defender Robby Dambrot, but instead it landed at the feet of first-year midfielder Jackson Walti — whose shot took a fortunate deflection off the defense and into the back of the net to tie it 1-1 in the 20th minute. Sophomore Alexander Dexter sent a well-timed pass to Pimentel in the 28th minute, who shot it over the goal. 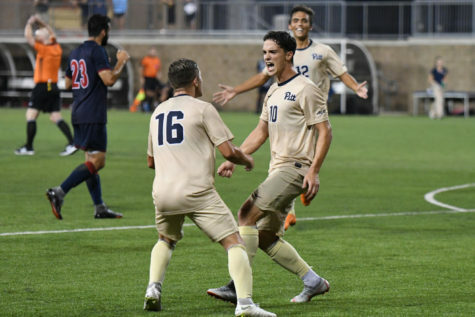 Three minutes later the pair connected again and Pimentel’s shot once again took an unexpected deflection as Pitt took a 2-1 lead in the 31st minute thanks to a couple lucky bounces. 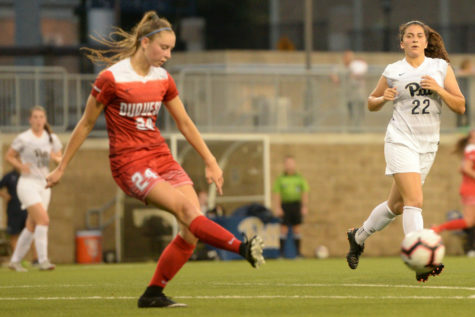 After giving up the first goal, the Panthers’ defense stood strong throughout the half, only allowing two more shots on goal as they kept the Wolfpack out of their half of the field. 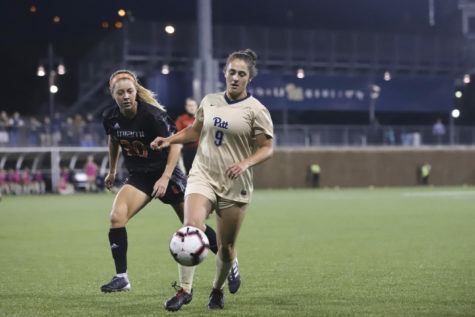 Pitt didn’t stop attacking in the second half as they scored an early third goal to go up 3-1 in the 47th minute. 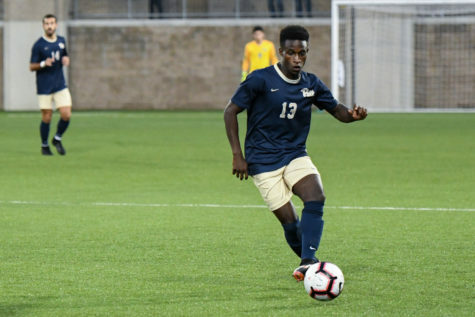 The goal was set up well from Pimentel to Dexter, who took advantage of the two-on-one and made the extra pass to sophomore forward Edward Kizza, who scored easily with a tap-in. 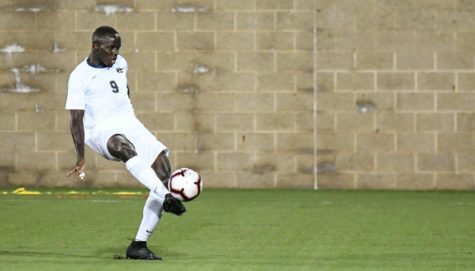 Kizza then had another great chance in the 54th minute when he stole the ball away from NC State sophomore defender David Norris and found himself one-on-one with the keeper. When Kizza tried to go around him, Krapf knocked the ball from under his feet, making a fantastic stop. After the game, Kizza said he was just happy to convert on his first scoring opportunity, which marked his first goal of the year. The Wolfpack outshot the Panthers six to four in the second half, but never created quality chances as they only forced Penaranda to make one save throughout the period. Dexter had a great chance for a fourth goal in the 83rd minute, but Krapf once again made a brilliant save as he dove high and got his right glove on the ball just in time. It was a particularly intense and physical game, as there were many fouls on both sides — 17 in the first half alone with 10 from the Wolfpack and seven from the Panthers. Pitt committed even more in the second half, with eight compared to Wolfpack’s five. Pitt will continue its five-game homestand against No. 11 Virginia this Friday at 7 p.m. at Ambrose Urbanic Field.